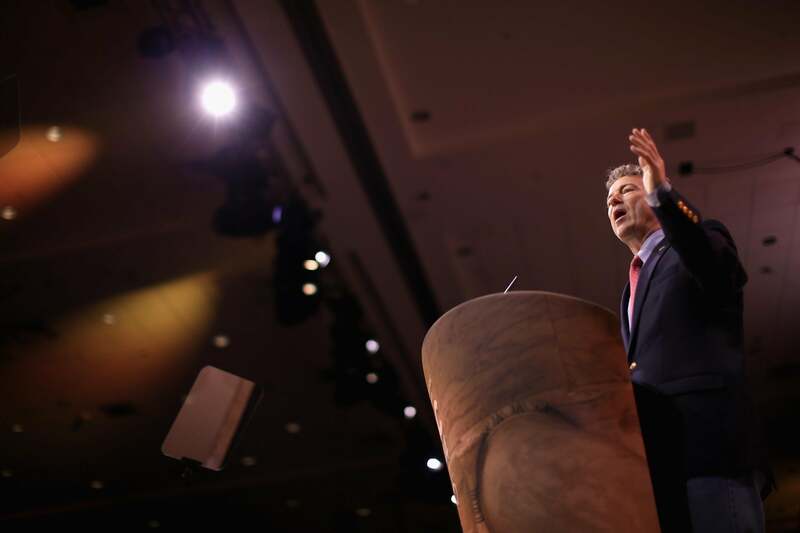 Rand Paul wins the CPAC 2014 straw poll, as Marco Rubio's support collapses. NATIONAL HARBOR, Md.—A few minutes before the CPAC 2014 presidential straw poll was released, Fox News’ great political reporter Chad Pergram tweeted an error. He claimed to have the results: Ted Cruz over Rand Paul, 42–17. But he had mistakenly tweeted the Senate Conservatives Fund’s numbers, released at 5:45 p.m. on a Saturday, from an online poll that few reporters had noticed. Good on the SCF—they took advantage of a media obsession. Pergram fixed the tweet. The actual CPAC straw poll was, for the fifth time, dominated by young libertarians. No surprise: Seventy-eight percent disapproved of “NSA’s use of data collection.” Some kind of surprise: Forty-one percent wanted to legalize marijuana, 21 percent wanted just medical marijuana legalized, and only 33 percent wanted it to remain illegal. That spoiled the results of the straw poll, which I’ve written below, parenthetically noting the results from 2013. Paul’s team was so eager to win that spokesman Sergio Gor materialized in the press rows before the results had been read in full, distributing a statement from RANDPAC: “I am grateful to all of the attendees who stood with me.” The statement would have worked had Paul won or lost.